In this short report I will quickly show a few charts on what is happening for precious metals and energy. 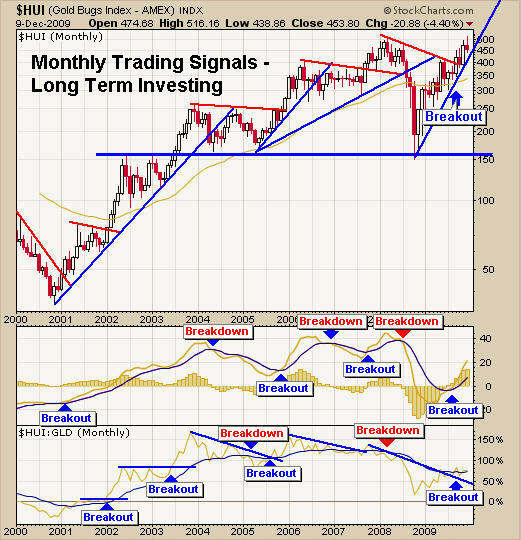 This monthly chart of the gold stocks index you can see how easy it is to trade the market and avoid large sell offs when using technical analysis. Currently gold stocks are in a bull market, testing the 2008 highs. Until we are proven wrong buying stocks after a pullback is a winning strategy. We have been in the GLD etf for a few months as we ride this bull to new highs. This chart clearly shows how buying dips in a bull market can really pay off. I do have certain criteria which must be met before buying dips so I know the odds are in my favor. 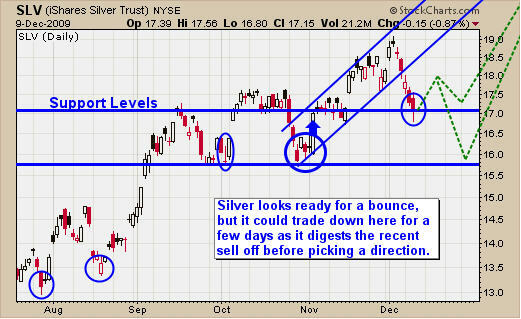 Silver along with gold and oil are looking ready for an oversold bounce. I don’t think prices will jump and rally higher right out of the gate but eventually I feel the will head higher. Crude oil looks prime for the picking. 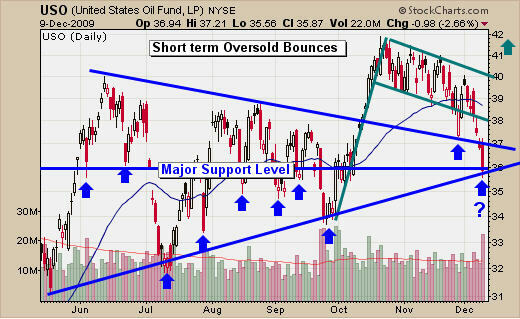 It is currently oversold and testing 2 support levels. The downside momentum is still strong so this selling could last another 1-2 days but I’m expecting it to soon. This is not a low risk setup. This is more of a short term aggressive contrarian play. For those of you who like heart pounding plays ? 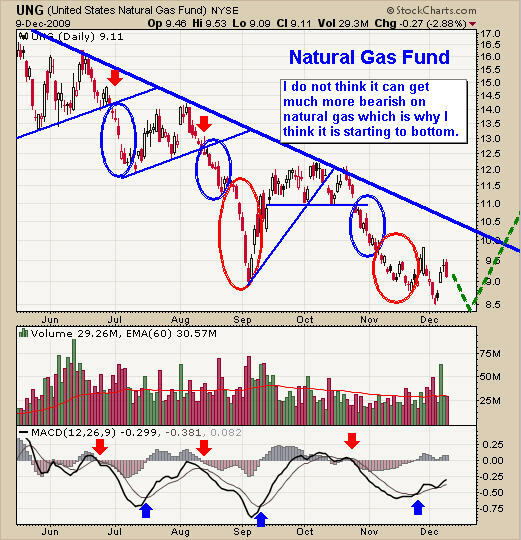 Natural gas has been taking its time to bottom. Virtually every bottom picker has been burned this year. I am starting to hear everyone get more bearish on it again which is great! It should bottom any day then! LOL…. Seriously it cannot get much more bearish for gas. We don’t have enough space to store it and companies are finding more natural gas in the ground every day. Because it sounds like a terrible investment it must be getting close to a bottom. If this is the start of a flat basing pattern, then I expect it could drag out for a few months before actually making a nice move up. The Dow looks similar to gold and silver. I feel we are ready for a 1-2 day bounce then we go a little lower to shake traders out of the market before heading higher. Gold stocks and the broad market are in a bull market. 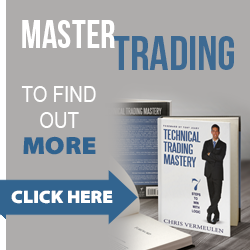 The recent pullback has many traders worried. I think this an opportunity to bet into some positions before the next rally. Buying the dips in a bull market is a low risk trade until proven wrong. 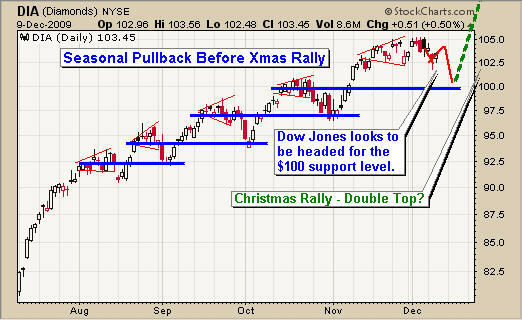 I think we still have more of a pullback yet but then we could have a very profitable year end Xmas rally. Natural Gas is just bumping along bottom I think. Not expecting any trade for a few weeks anyways. Crude Oil looks like its ready for a move whether it is a 1-2 day bounce or the start of a new leg higher. If you loot at late Sept you can see USO broke down on heavy volume shaking most traders out of their positions just before the next leg higher, and this is what I feel it is doing now. Only time will tell. Let’s see how the second half of this week unfolds. 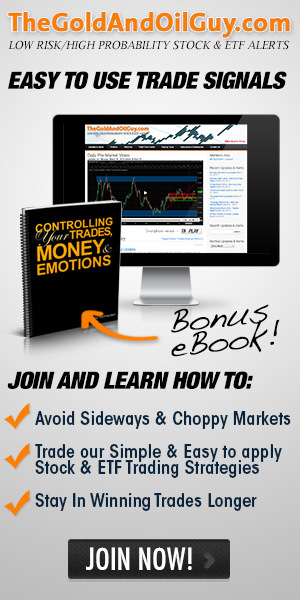 Stock Market Report - What To Do Now! 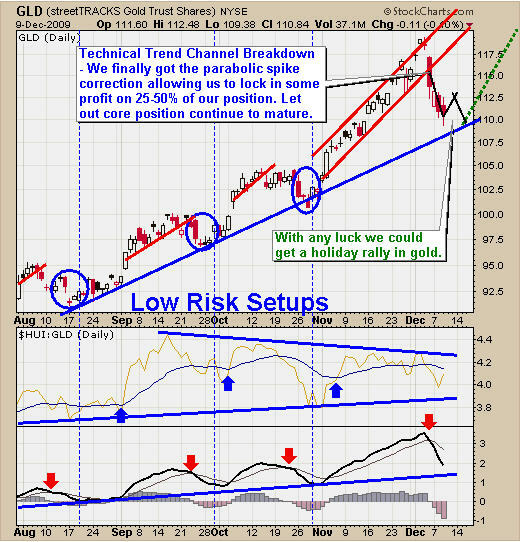 Monday Dec 7th – Afternoon Update What’s Next for Stocks, Gold, Silver, Oil & Nat Gas?